PACKED WITH 5+ EXCITING FEATURES! Roam the nights freely in style. 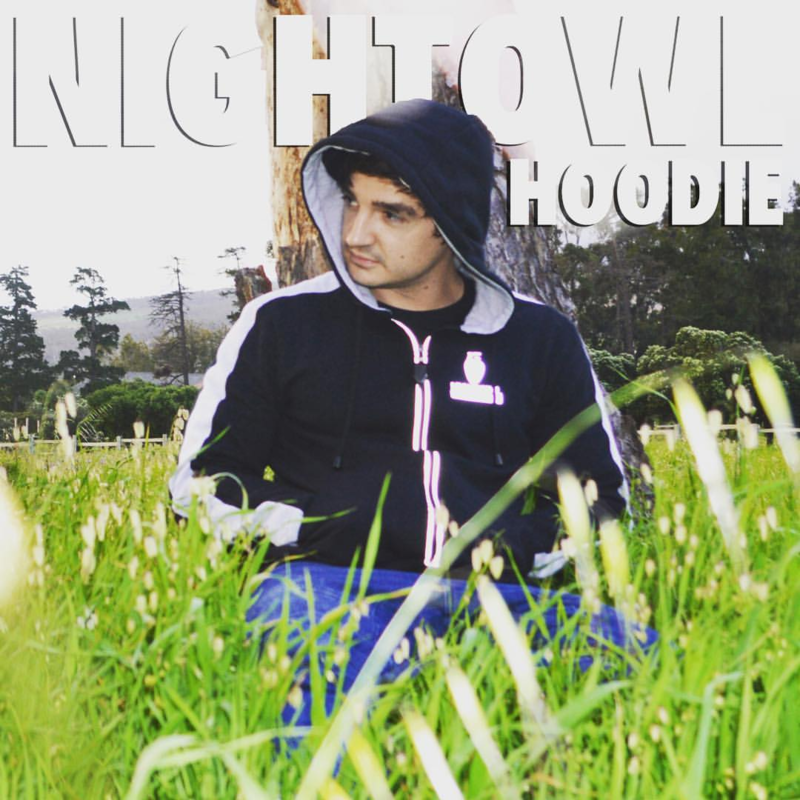 Meet the NightOwl Hoodie. Made by Nightowls for Nightowls. Your nights are about to get lit up. 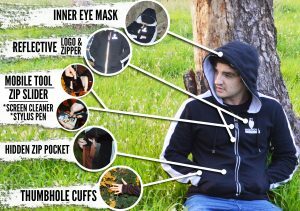 Meet the NightOwl Hoodie. Made by Nightowls for Nightowls. At Youneek we don’t do ordinary. We go above and beyond to bring you clothing that will leave you in awe. The NightOwl hoodie is no exception. We’ve added a few features to help you roam the nights comfortably and freely like never before, and, of course, look good while doing it! Inner Eye Mask Inside Hood. NightOwls tend to fall asleep anywhere. With our built-in eyemask that’ll never be a problem again. Simply pull down the eyemask from inside the hood to shut your surroundings out and take a quick snooze when you need it most. Mobile Tools Zipper – Stylus Pen. Using your fingers to navigate your phone is so 2017. Whenever your fingers start cramping up from uploading all those pics of your meals on Instagram, you can switch to the stylus pen on the hoodie’s zipper to give your fingers a break. Hidden Zippered Inside Pocket. You’ll always need to carry a few secret things and the NightOwl hoodie will always have you covered. There’s enough space to tuck away everything you need with a zipper to make sure it’s always safe and sound. Thumbhole Cuffs. Our thumbhole cuffs give you the option to keep your hands nice and cozy at all times, as well as block out any wind coming through the cuffs while looking like a boss.